Earlier today we heard about the new Samsung Galaxy Round smartphone, and now we have a video which gives us a quick look at Samsung’s first Android device with a flexible curved display. The Samsung Galaxy Round features a 5.7 inch Super AMOLED display with a HD resolution of 1920 x 1080 pixels, the handset comes with Android 4.3 Jelly Bean. 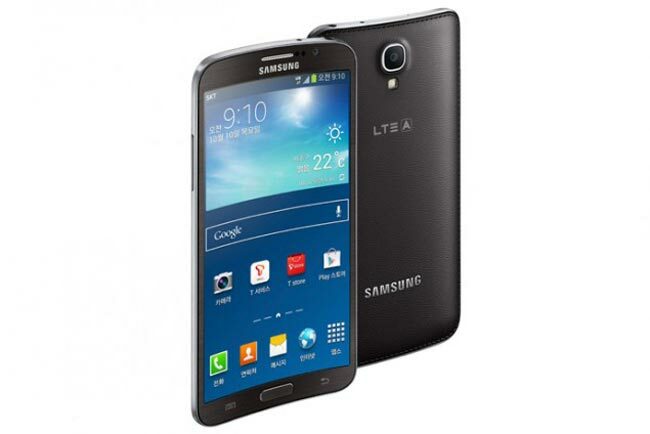 Other specifications on the Samsung Galaxy Round, include a quad core 2.3GHz processor and 3GB of RAM, the device also features a 13 megapixel camera. The Samsung Galaxy Round features LTE Advanced, NFC, Bluetooth 4.0, 32gB of built in storage and USB 3.0, the device will launch on South Korea tomorrow. As yet it looks like Samsung does not have any plans to launch the Samsung Galaxy Round outside of South Korea, although this could possibly change in the future.